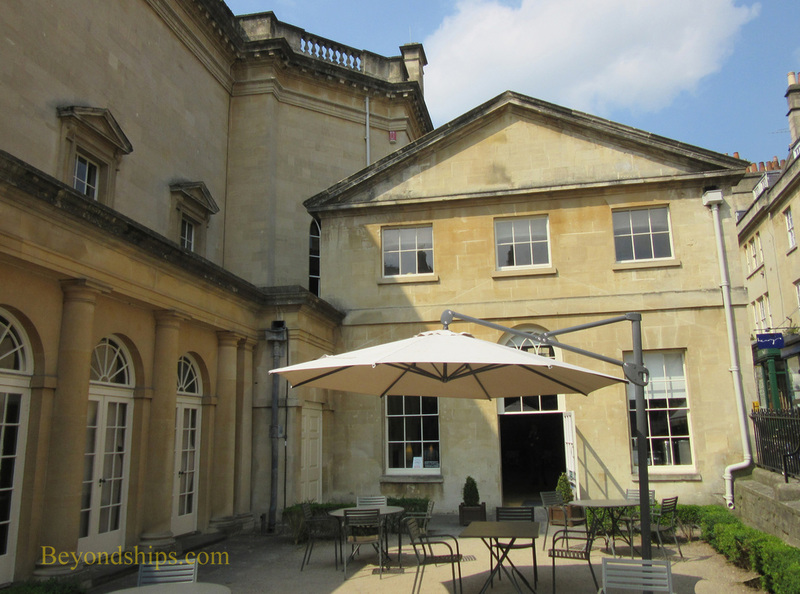 ​ The Assembly Rooms was where anyone who was anybody went to socialize and be entertained when Bath was at its height in the Georgian era. 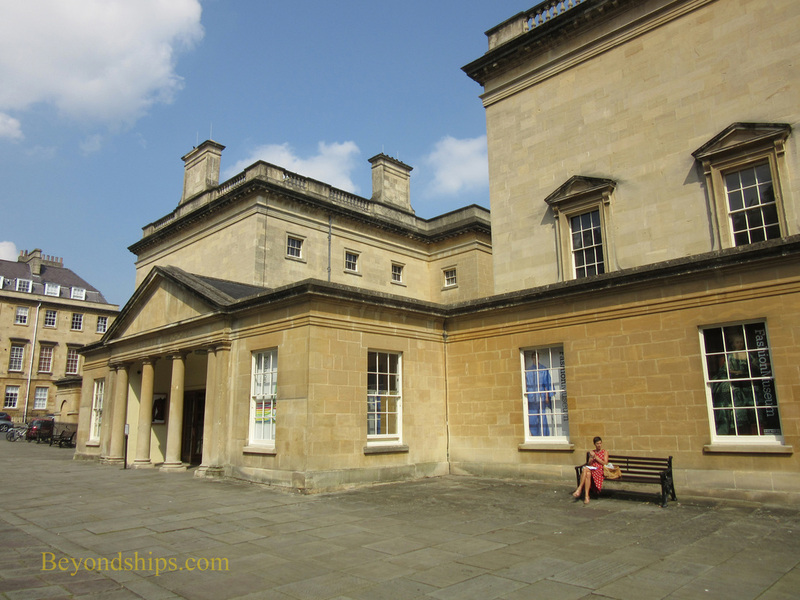 Indeed, the Assembly Rooms were so much a part of fashionable life that it was used as a setting in two of Jane Austen's novels - - Northanger Abbey and Persuasion. Charles Dickens later wrote about them in the Pickwick Papers. When Bath became popular and fashionable in the 18th century, new residential areas were developed to house these newcomers and visitors. Queens Square, the Circus and the Royal Crescent are some of these new developments. Because these developments were somewhat removed from the traditional city center, there was a demand for a venue close by where people could meet and be entertained. The most famous architect of the day, Robert Adam, submitted a plan for such a venue but it was rejected as too expensive. Instead, a design by John Wood the Younger, who along with his father John Wood the Elder had designed much of the new residential area, was adopted. 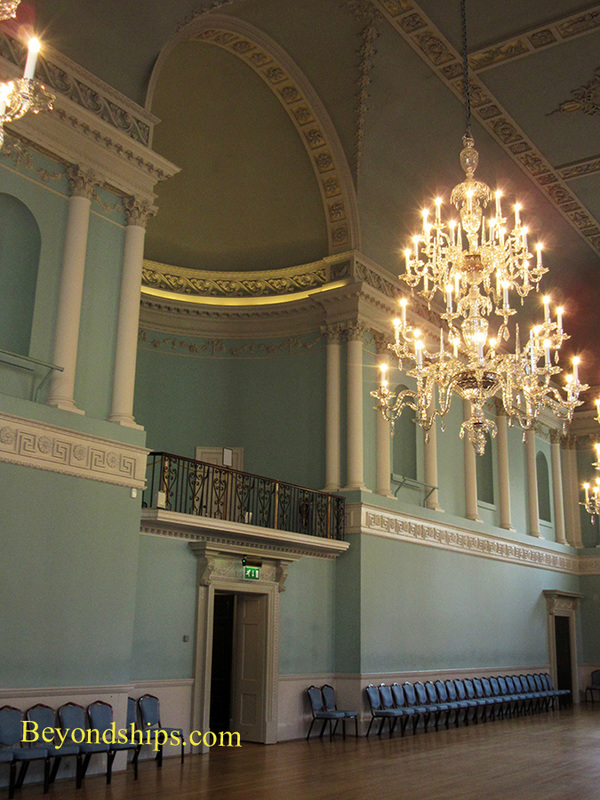 The Assembly Rooms were completed in 1771. Initially, the venue was called the Upper Assembly Rooms. This was because there were already assembly rooms down the hill in the city center (the Lower Assembly Rooms). However, the rival rooms went out of business for various reasons soon after the Upper Assembly Rooms opened and eventually the word Upper was dropped from the title. 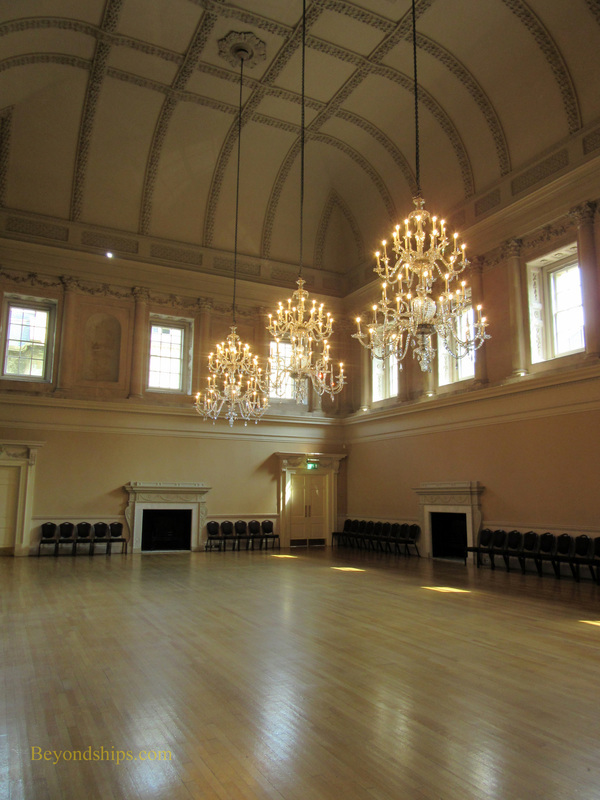 The Assembly Rooms was used for balls, concerts and activities such as playing cards and taking tea. During the fashionable season from October to June, there were two balls a week. More than a thousand people would attend. Single people would meet and romance blossomed subject to the somewhat complex social conventions described in Jane Austen's works. Fashions change and by the 20th century, the entertainments that had thrilled the Georgians were no longer in vogue. As a result, the Assembly Rooms were put to different uses including being a cinema for a time. But in 1931, the building was rescued when it was purchased by Society for the Protection of Ancient Buildings. The Society could not protect the building from the Luftwaffe and it was bombed and burnt during World War II. However, under Sir Albert Richardson, the Assembly Rooms was restored and reopened in 1963. Additional refurbishment was done between 1988 and 1991. The building was designed in a U-shape. It has three principal rooms - - the Great Octagon Room in the center of the U and the Ball Room and the Tea Room along the flanks. They are elegant rooms, decorated in the Georgian style with pale colored walls, white ceilings and white trim. 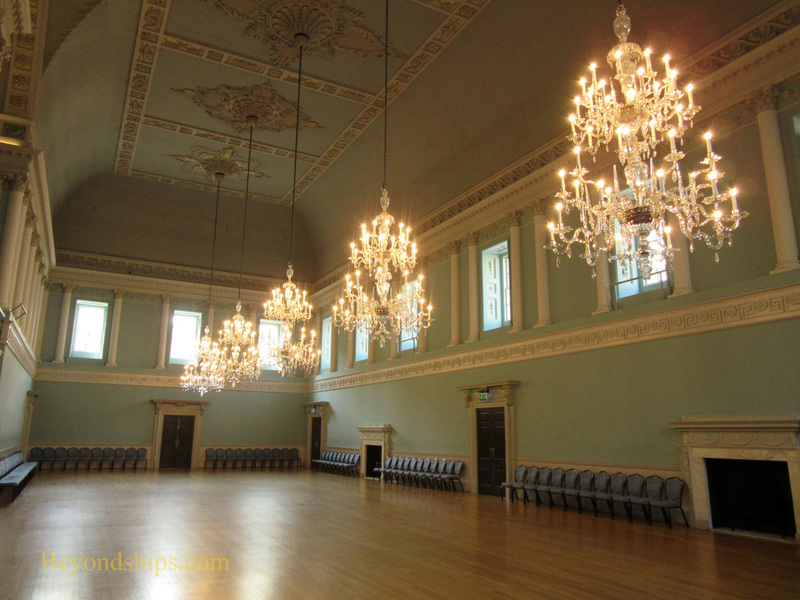 Nine large crystal chandeliers made for the Assembly Rooms in the 18th century illuminate the decoration. Works of art, including a portrait donated to the Assembly Rooms by Thomas Gainsbourgh, provide focal points. Because they capture the atmosphere of the Georgian era, the rooms have been used as sets in several films. 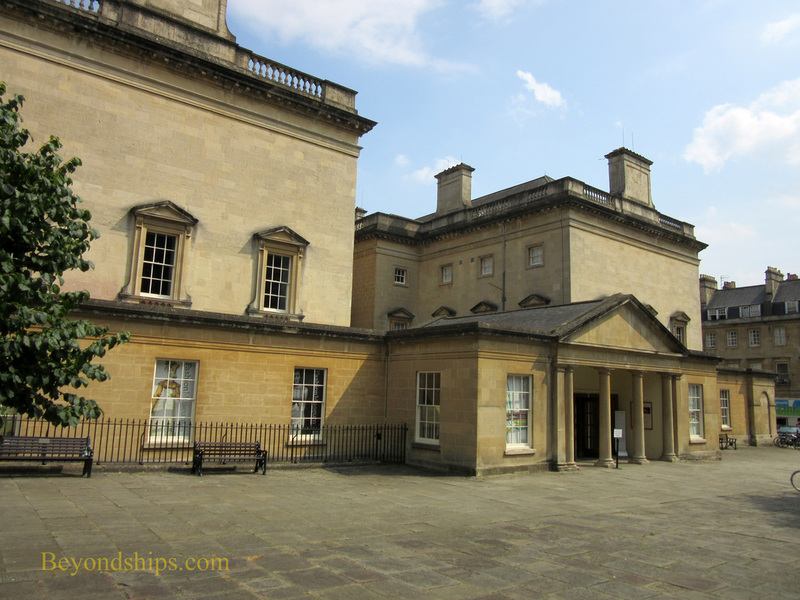 Owned by the National Trust, the Assembly Rooms is open every day except December 25 and 26. However, the various rooms can be hired for events and on those occasions those rooms are closed to the general public. Admission is free. The Assembly Rooms also has a shop and a cafe in what was once the New Card Room. In the basement of the Assembly Rooms is the Bath Fashion Museum. Above and below: The Ball Room. ﻿Above: Outdoor seating for the cafe.